Don Gentle has been at High Rocks for over twenty five years. He began year-round employment in October of 1995. 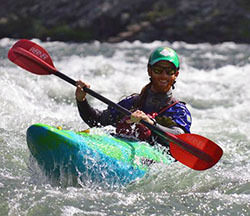 During his tenure on staff, Don has served as Paddling Director, Program Director, Assistant Director, and has directed the fall LEAP programs since their inception. Additionally, Don’s computer expertise has kept us in the 21st century. Don has a Master’s degree in physical education from Ohio University. He was one of the founding officers of the North Carolina Youth Camp Association and currently serves on the board for the local Boys and Girls Club of Transylvania County. Elizabeth “Zoob” Gentle is entering her twenty-sixth summer at camp. She began year-round employment in November of 1997. During her time here she has served as Swimming Director, Program Director, and Assistant Director. Furthermore, thanks to Zoob’s handling of recruitment and hiring, High Rocks enjoys a phenomenal staff year after year. Zoob graduated from Presbyterian College with a major in Mathematics. No wonder she is such a good director! The Gentle children, Grace (14 years) and Isabelle (10 years), are wonderful additions to the High Rocks family. Townsend Birdsong – Born and raised at camp (her parents built and ran High Rocks for our first 30 years), Townsend has camping in her blood. A graduate of UNC- Greensboro in Nursing, horseback riding is her specialty. 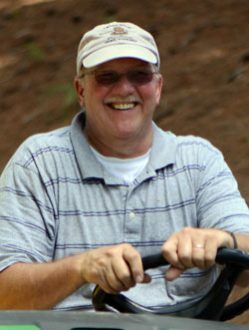 Hank Birdsong – With over thirty years of experience working with children in camp settings and with Outward Bound and Discovery outdoor programs, Hank provides camp with a rich background of knowledge and technical skill. He served for five years on the national accreditation council for the Association of Experiential Education. As a youth, Hank achieved the Eagle rank in Scouts and the Vigil honor in the Order of the Arrow, Scouting’s National Honor Society. For many years he has been an adult volunteer in Scouts, serving as an Assistant Scoutmaster. 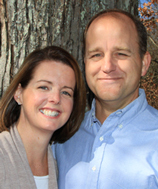 A UNC- Chapel Hill graduate with a degree in Recreational Administration, Hank enjoys soccer and rock climbing. Past climbing ascents include El Capitan (twice), Liberty Cap, and Half Dome in Yosemite. A grandson of the camp founders, Jane & Sumner Williams, Woody has been at High Rocks a majority of his summers, beginning as a toddler. A graduate of William and Mary, he has spent the last several years living in the Brevard area working full-time at High Rocks. Woody lives in Brevard with his wife Ren, their sons Trip and Thomas. Much of his time outside of camp is spent stomping around in the woods and playing with his sons teaching them to enjoy the outdoors. During the summer, Woody is the head counselor of our program and continues to help develop our staff into leaders and role models for the campers. After five years as a camper and a many as a summer staff member, Will currently holds the year-round position of Program Director. Will is a UNC-Chapel Hill graduate, where he majored in business with a minor in English. Will thoroughly enjoys paddling through many irriguous winters in Brevard. In his spare time or on a rainy day, Will can be found on one of the many beautiful rivers Western North Carolina has to offer. He brings plenty of paddling, climbing, and backpacking experience to our program and does a wonderful job being our Square Dance MC among his many other duties. With his wealth of carpentry knowledge and 24 years of experience working in a camp environment, Danny keeps our facility looking incredible and running smoothly. During his tenure here at High Rocks, he has remodeled no less than 36 bathrooms! Danny currently lives Brevard, NC with his wife Jill. Danny and Jill have added to their family recently with Harvey who is a rambunctious border collie/samoyed that consistently adds to the list of repairs at home! Darby joined us in the fall of 2017 as a group leader for our LEAP Adventure School and then continued on to work full time for us as our office guru and Director of Communications and Marketing. A native of Jacksonville, FL, Darby comes to us with 14 summers of experience as both a camper and counselor at nearby Keystone Camp. With two summers under her belt, she is looking forward to another summer to see returning camp families and to meet new camp families!